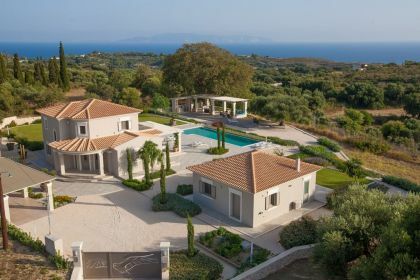 Conveniently located within walking distance from the sea and basic holiday facilities, a private vacation complex of four villas offers comfortable accommodation for families and groups. 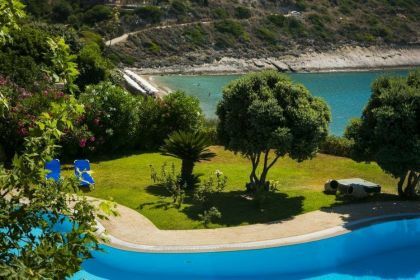 Car would be recommended when staying, in order to visit neighboring resorts and Argostoli town with wider choice of shopping and entertainment. 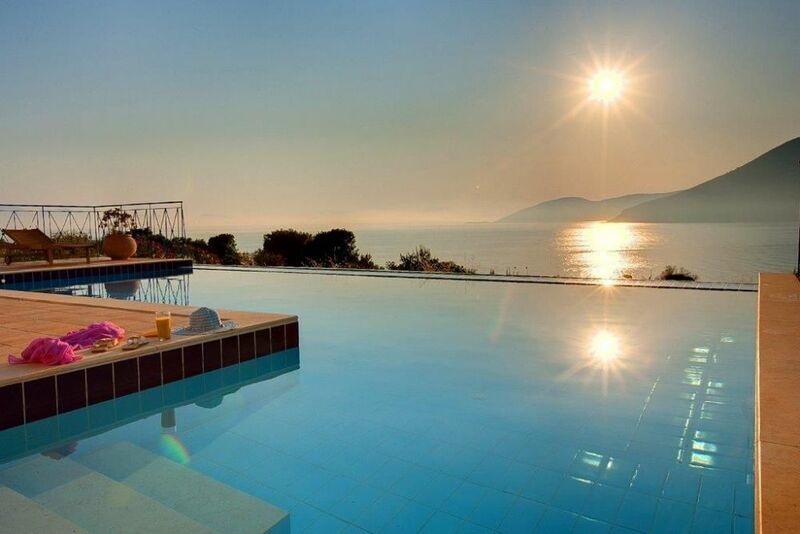 Airport is located 67 km away. 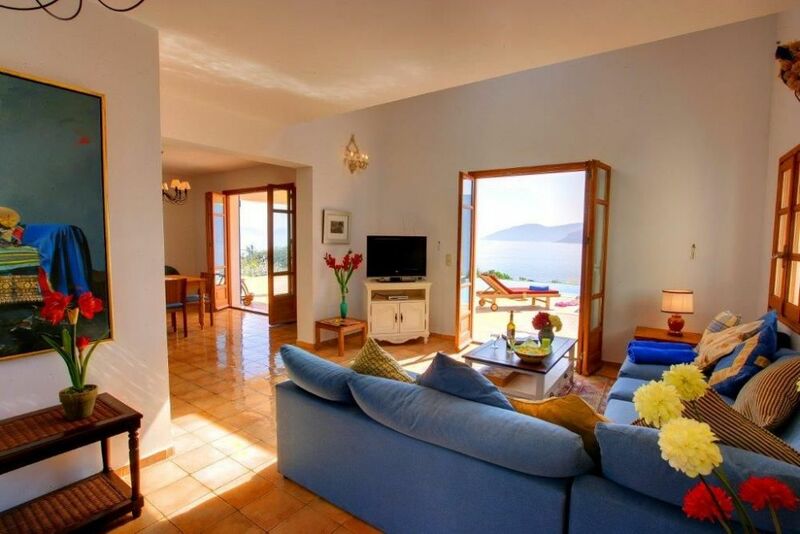 Each property is very independent to ensure guests enjoy absolute privacy and seclusion. 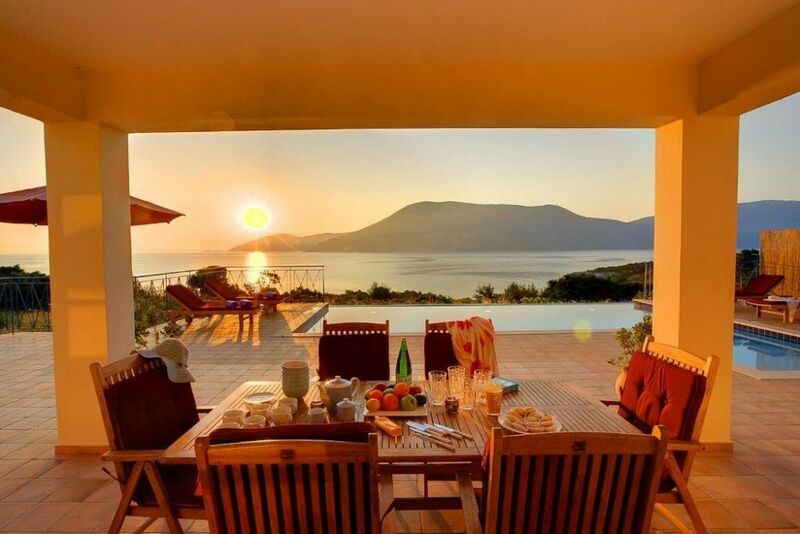 All villas are modernly equipped, fully air-conditioned and tastefully furnished, making it an ideal place in Kefalonia for you vacations. 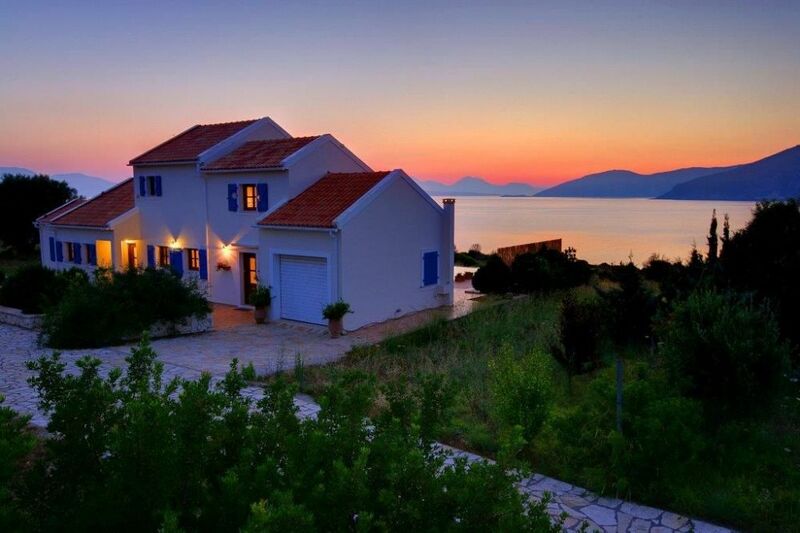 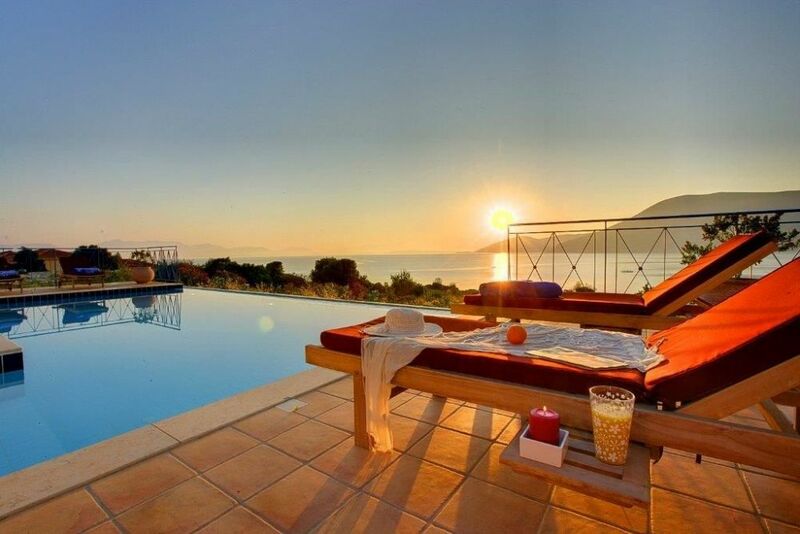 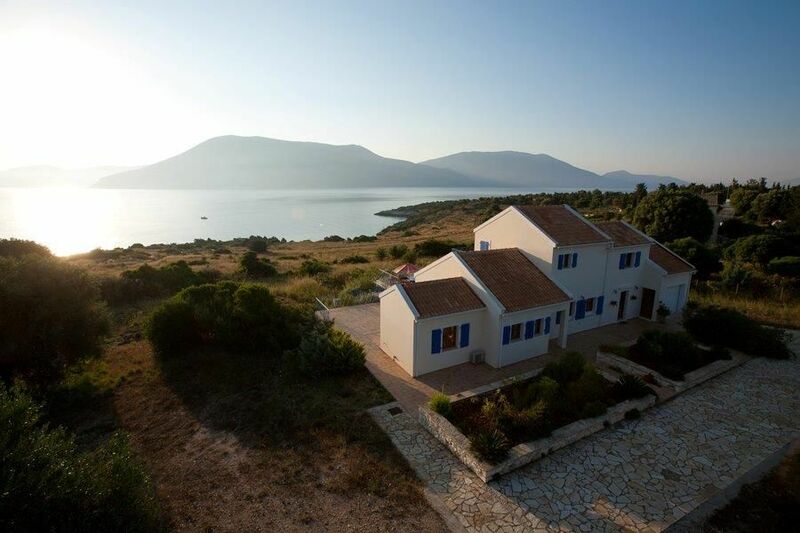 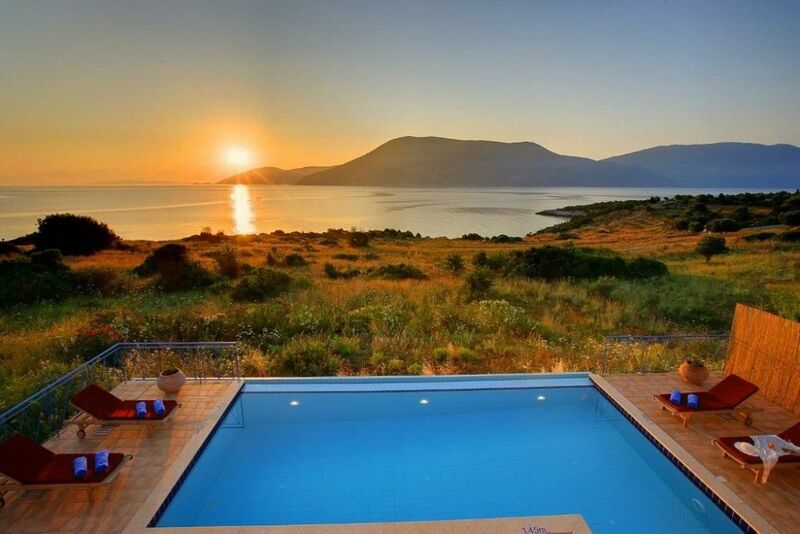 Villa KEF089 is perfect to accommodate up to 6-7 guests. 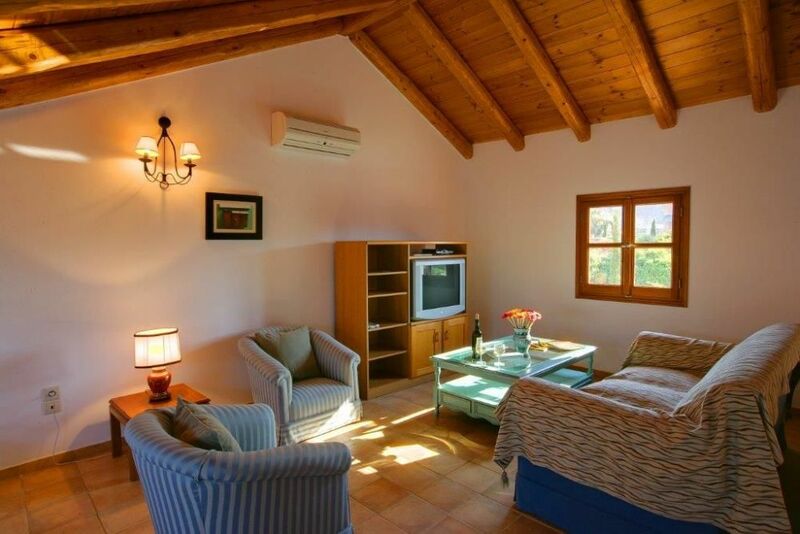 Comprising of two levels, it offers 3 spacious bedrooms with a double or two single beds. 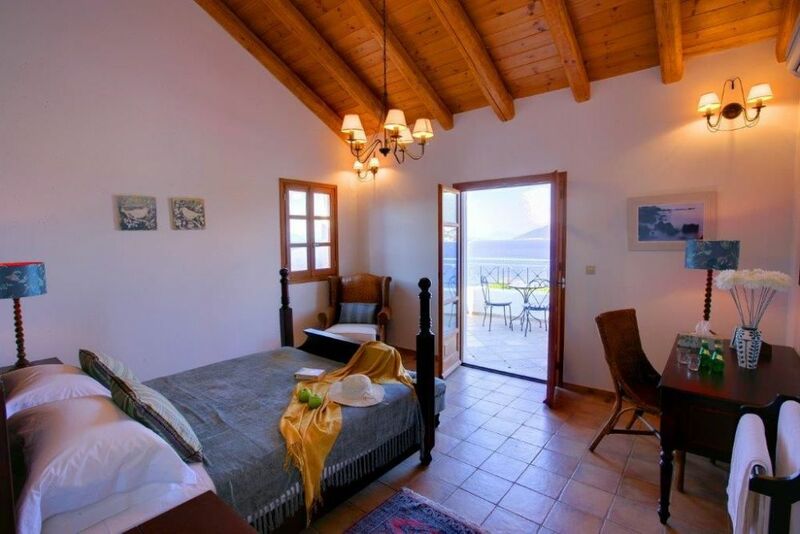 Bedrooms are very bright, with ample wardrobes, two of them come with ensuite bathrooms with bath and shower. 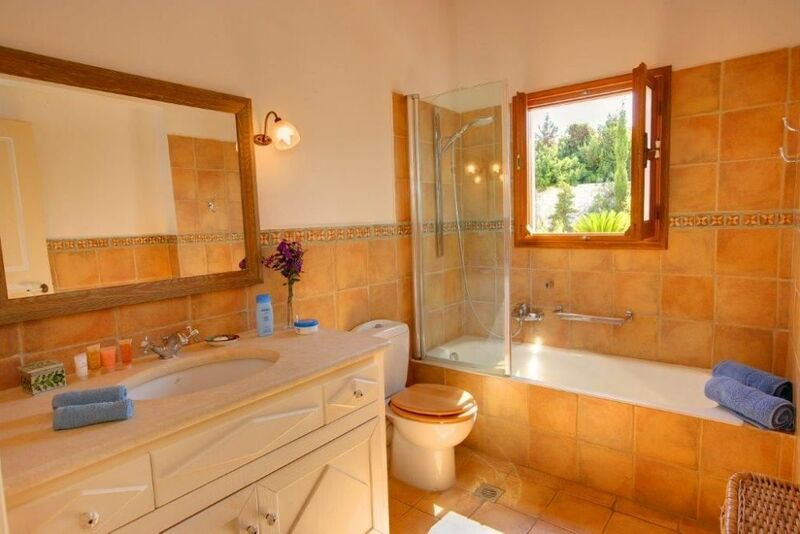 In addition, there is one more bathroom with shower. 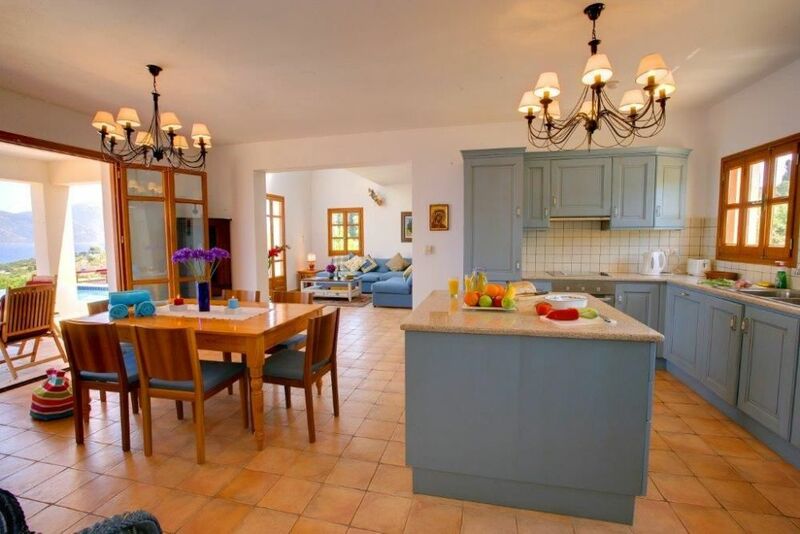 Common areas include a big living room where you can relax on big sofas, watching TV, wireless internet access provided, while an open plan kitchen is fully equipped with all necessary appliances and utensils. 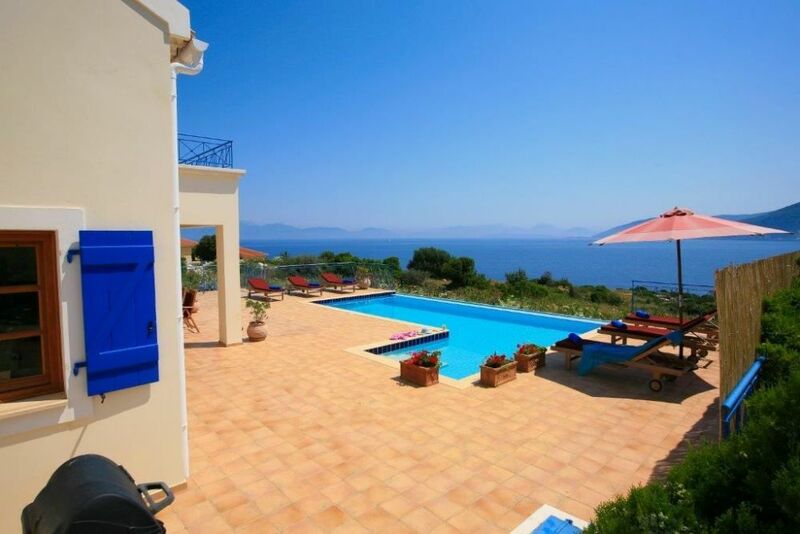 Ground floor opens to a huge tiled terrace, complemented with a private swimming pool. 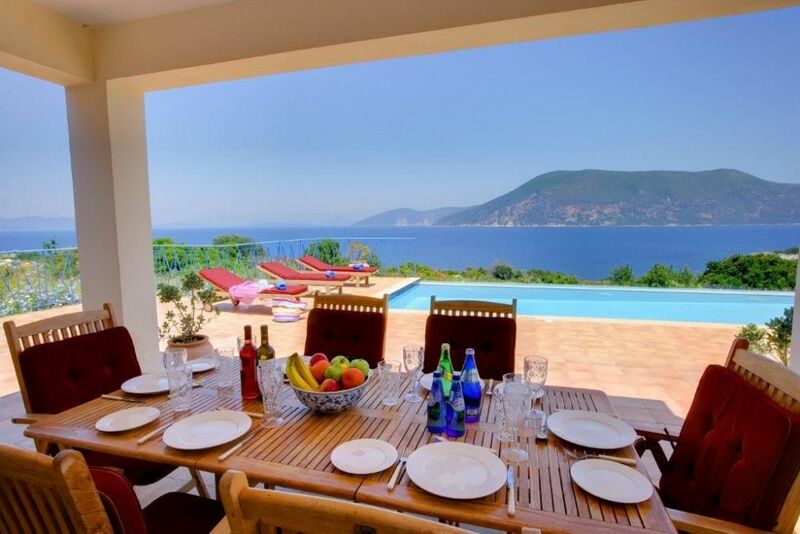 Adjoining to the villa, there is a nice shaded terrace with dining table – perfect for family gatherings and alfresco breakfast, accompanied by stunning view. 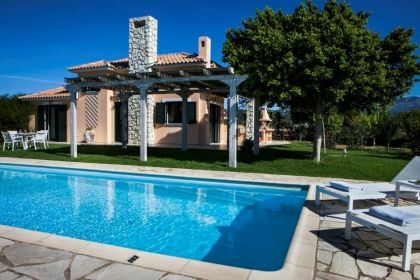 Any of this properties guarantees you will experience best vacations, as each villa comes with all amenities and services at highest level. 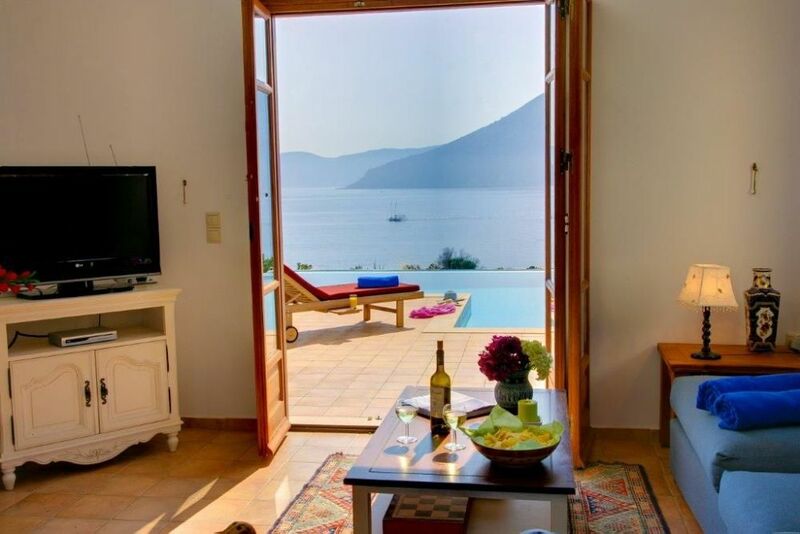 All you need for cooking, laundry, rest and entertainment. 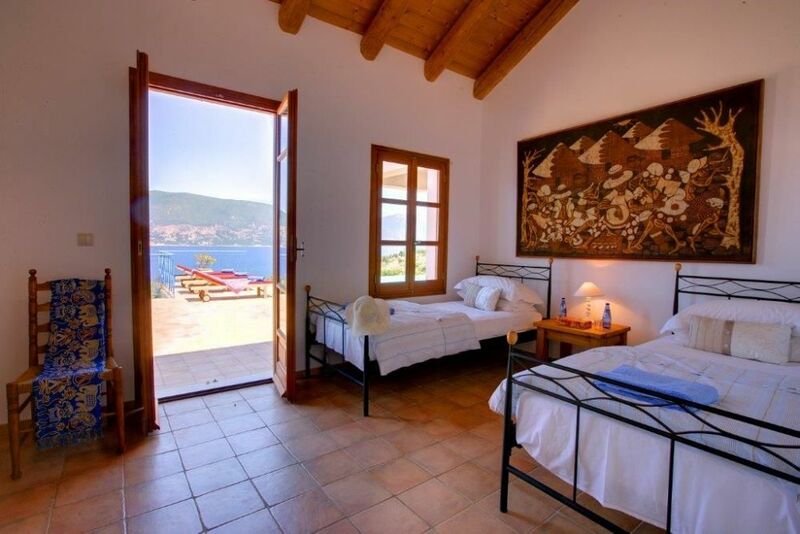 Rent a car and explore the island or make a daytrip by boat to Ithaca or Zakynthos.